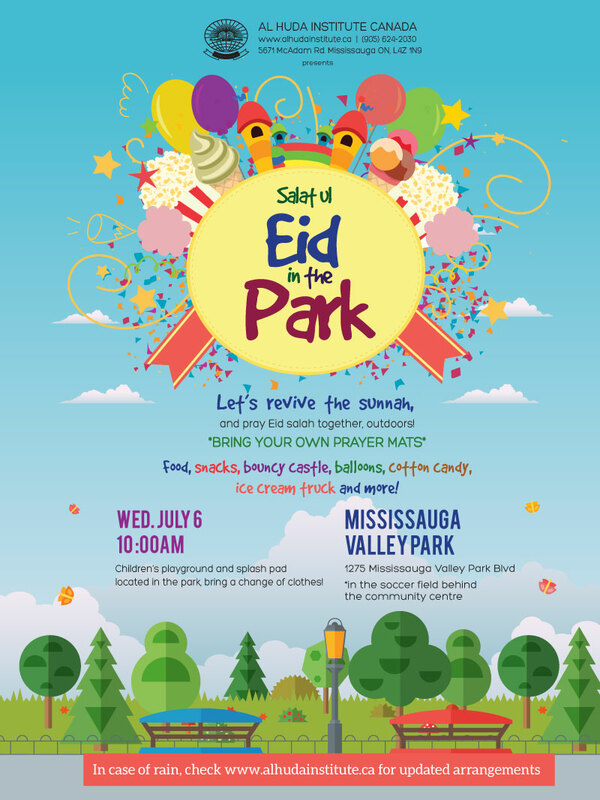 Celebrate Eid outdoors with the community at Mississauga Valley Park. Join us as we pray outside followed by lots of family fun with food, snacks, bouncy castle, balloons, cotton candy, ice cream truck and more! Salaah will start at 10:00 AM followed by a khutbah. Location: Mississauga Valley Park, 1275 Mississauga Valley Blvd – In the soccer field behind the community centre. Bring your own prayer mats and a change of clothes for kids as there is a splash pad and a children’s playground. Hope to see everyone there inshAllah!